There is most likely no other area in this day and age whose household and worldwide governmental issues have been more customized than the Middle East. Not just have supreme pioneers commanded the provincial political scene for a considerable length of time, superseding state foundations and customizing the national intrigue, yet a significant number states have been set up to fulfill the individual aspirations of nearby rulers. The free condition of the Hijaz, for example, was made to remunerate Hussein Ibn Ali, the Sharif of Mecca, for actuating the 'Middle Easterner Revolt' against the Ottoman Empire amid the First World War, just to be subsumed in the 1920s by Saudi Arabia: amazingly, one more close to home creation by a neighborhood sovereign, Abd al-Aziz Ibn Saud. The Emirate of Transjordan, hitherto the Hashemite Kingdom of Jordan, was set up by the British to appease Sharif Hussein's child, Abdallah, while the arrangement of the bigger and all the more ground-breaking Iraqi state (in 1921) from the Ottoman vilayets of Basra, Baghdad, and Mosul was intended to repay Abdallah's more youthful sibling, Faisal, following his ejection from Syria by the French. There is, nonetheless, another side to the record. Center Eastern rulers are no less the result of their condition than its shapers. Islam's millenarian inheritance, the unstable and indeterminate nature of Arab patriotism, and the bounty of clashing loyalties questioned limits, religious, and ethnic and innate splits, have all left a permanent stamp on ruled and rulers alike. One of the immense ideals of Tripp's book, by a wide margin the best and most genuine history of Iraq to date, is that it catches so well not just the outcomes of this mind-boggling interrelationship, but rather likewise the social and good universes in which it exists and flourishes. Opposing the shortsighted, if elegant trend of 'composing history from underneath', which very regularly puts an undue accentuation on society's minimal and elusive viewpoints to the avoidance of its genuine main impetuses, Tripp has created an inconspicuous elucidation of Iraq that is on the double delicate to the two perspectives from 'above' and 'beneath', and which gives Iraqi rulers a role as being produced by their general public even as they looked to reforge it. This, no doubt, is no mean assignment. For Iraq are a place where there is match desire and logical inconsistencies that make the formation of a bound together national account an overwhelming undertaking in fact. It is a nation with a magnificent supreme past, extending back a great many years, and expansive dreams for the future, but then, geopolitically debilitated: for all intents and purposes landlocked and encompassed by six neighbors, with something like two - Turkey and Iran - bigger and irredentist. It is a nation that tries to support the reason for Arab patriotism while in the meantime being, in the expressions of its first current ruler, King Faisal I, close to 'unfathomable masses of people, without any enthusiastic thought, permeated with religious conventions and absurdities... what's more, inclined to anarchy'. (1) It is a land torn by ethnic and religious divisions, a land where the principle non-Arab people group, the Kurds, has been always smothered, and where most of the populace, the Shi'ites, have been ruled since the commencement of the Iraqi state as an underprivileged class by a minority gathering, the Sunnis, short of what 33% their size. This wide hole between dreams of magnificence and the bleak substances of shortcoming has produced a political heritage of disappointment and frailty, so suitably caught by Tripp's book. Stood up to with an annoying local cauldron, and also impressive outside difficulties, the decision government in Iraq - from the government to the Ba'th party, to Saddam Hussein - has been sentenced to a consistent rearguard activity for political authenticity and individual survival. The result has been the very commonplace governmental issues of brutality tormenting Iraq for a large portion of the twentieth century. By the method for meshing this disturbed national account into a bound together entire, Tripp centers around three interrelated variables, signifying diverse circles of social and political activities. The first is patrimonialism's remarkable flexibility and the orderly results of this marvel for the association of intensity and the connection between social arrangements and the types of state control. Drawing on an extensive variety of unique sources, and writing in fresh exposition, Tripp fastidiously records the conclusive effect of the systems of supporters and customers all through Iraqi society on the nation's political history, from the general population who related themselves with the Hashemite government in the early years to the groupings currently bunched around Saddam's own run the show. Tripp convincingly contends that given the roots of the Iraqi state, and additionally the procedures going to its creation, certain social groupings, for the most part, Sunni Arabs related with the outdated Ottoman Empire, have dependably been supported over others. This has, thus, enabled them to utilize the power along these lines obtained to ensure benefit and to give it measurements of property, status, and position. However, this has not saved the Sunni people group of its own inner contentions, clashes, and battles, which have now and again been no less serious than the endeavor to avoid the 'other' based on faction, ethnic gathering, sexual orientation or monetary position. In reality, as appeared by Tripp, there has been considerably more to this procedure than the unimportant maneuvering for influence and its trappings: it has been inseparably connected with such social advancements as the fortunes of 'inborn' legislative issues, and in addition the statistic move from field to city and the subsequent 'ruralizing' of the political universe. These procedures have been extraordinarily improved constantly factor noted by Tripp: the moving premise of Iraq's political economy, strikingly the expanding significance of oil incomes and the extraordinary budgetary power they have conveyed under the control of those in charge. However, this advancement has been a twofold edged sword. From one viewpoint, it has improved the independence of the state in Iraq. On the other, it has fortified the specific originations of the state held by the individuals who have utilized these assets to shape the state itself, from the Hashemites to Saddam. Above all, the financial establishments of intensity have increased the distinctive types of patrimonialism which have guaranteed the reliance of most of the Iraqi populace on the minority controlling the country's principal assets. The third factor is comparably connected to the next two: the commonness of brutality in Iraqi history. Undoubtedly, any state is to some degree an association that orders and forces, with the significance of intimidation as a disciplinary means moving as per the level of administration transparency. However, even by the unforgiving benchmarks of Middle Eastern governmental issues, Iraqi viciousness has been its very own class. At the point when in the mid-year of 1933 the Iraqi armed force butchered somewhere in the range of 3,000 individuals from the minor Assyrian people group, in light of their interest for ethnic and religious acknowledgment, festivities were held all through the nation in which 'triumphant curves were set up, embellished with melons recolored with blood and with knives stuck into them [to speak to heads of killed Assyrians]'. (2) When in July 1958 the Hashemite line, which had ruled Iraq since its initiation in 1921, was ousted by a military overthrow, headed by General Abd al-Karim Qassem, the ravaged body of the Iraqi official, Abd al-Ilah, was hauled by a seething crowd through the boulevards of Baghdad before being hung at the entryway of the Ministry of Defense. Also, Saddam Hussein's climb to the administration in July 1979 was joined by a loathsome bloodbath, in which several gathering authorities and military officers, some of whom were dear companions and partners, died. As indicated by Tripp, this fierce inheritance has made the military a pre-prominent piece of Iraqi society from the beginning of the state, therefore making the simple conditions which have sustained this pre-distinction and compelling would be rivals to work along fundamentally the same as lines. No less significantly, the supremacy of military power has combined with the oligarchic idea of Iraqi governmental issues and the enormous deluge of oil incomes to make prevailing accounts set apart by intense, tyrant administration, for whom political investment is minimally more than unquestioning accommodation. This has thusly confronted numerous Iraqis with the decision among accommodation and flight: for Assyrians, Kurds, and Yazidis, movement and outcast appeared now and again to be the best way to get away from the draw of the state and the occasionally deadly energy of those its rulers; so it was for those autonomously disapproved of learned people and craftsmen who might not have their voiced desensitized. For some Shi'ites, the case of those mujtahids who had played out an internal, profound relocation has been a ground-breaking one, making them walk out on a political world which had so little to offer them; in the event that they endeavored to transform it, as some have done, the response was harsh to the point that physical flight and outcast appeared to be the main safe way before them. This obvious perspective can be clarified to some extent by Saddam's troublesome adolescence, which only occasionally managed him the confiding in obligations of close, family connections, however, showed him rather the pitiless law of the survival of the fittest, a law he was to love all through his whole political profession. However, to no less a degree his viewpoint is the result of the heartless political framework in which he has worked, and in which stripped power has established the sole operator of political change. In the event that anything, Saddam has fortified certain patterns in Iraqi history, developing a considerable contraption that rivulets no resistance and gives no space for political action other than on terms set by him. In doing as such, he has generously fortified the informal organizations of connection buttressing his administration by utilizing them as channels of remuneration and discipline, maintaining a specific sort of patrimonial framework and reinforcing the places of the assigned male-centric pioneers opposite their adherents and inhabitants. So viable has this procedure been that, correspondingly, expanding quantities of people, far expelled from the self-evident 'customary' innate character, have looked to connect themselves with the perceived sheiks of certain inborn gatherings to profit by the insurance and security this is thought to bring. 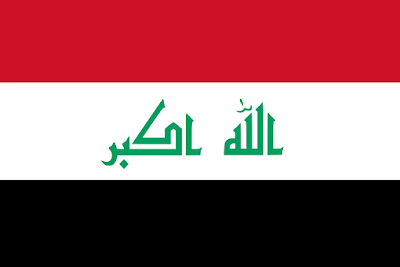 The political history of the Iraqi state is a proceeding with one. Anyway overwhelming the present request in Iraq has been amid the previous thirty years and anyway much it has endeavored to dispense with conceivable choices, time will disintegrate and annihilate it. With its passing new spaces will open up and conceivable outcomes will be made for different stories to advocate for themselves in the molding of Iraqi history. Some portion of the Fertile Crescent, Iraq was one of the early destinations of complex human development and horticultural practice. Once called Mesopotamia, Iraq was the seat of the Sumerian and Babylonian societies c. 4,000 - 500 BCE. Amid this early period, Mesopotamians concocted or refined advancements, for example, composing and water system; the well known King Hammurabi (r. 1792-1750 BCE) recorded the law in the Code of Hammurabi, and over a thousand of years after the fact, Nebuchadnezzar II (r. 605 - 562 BCE) constructed the mind-blowing Hanging Gardens of Babylon. After around 500 BCE, Iraq was governed by a progression of Persian administrations, for example, the Achaemenids, the Parthians, the Sassanids, and the Seleucids. Albeit neighborhood governments existed in Iraq, they were under Iranian control until the 600s CE. In 633, the year after the Prophet Muhammad kicked the bucket, a Muslim armed force under Khalid ibn Walid attacked Iraq. By 651, the officers of Islam had cut down the Sassanid Empire in Persia and started to Islamicize the district that is currently Iraq and Iran. Somewhere in the range of 661 and 750, Iraq was a territory of the Umayyad Caliphate, which ruled from Damascus (now in Syria). The Abbasid Caliphate, which managed the Middle East and North Africa from 750 to 1258, chose to manufacture another capital closer to the political power center point of Persia. It fabricated the city of Baghdad, which turned into a focal point of Islamic workmanship and learning. In 1258, calamity struck the Abbasids and Iraq in the frame the Mongols under Hulagu Khan, a grandson of Genghis Khan. The Mongols requested that Baghdad surrender, however the Caliph Al-Mustasim cannot. Hulagu's troops laid attack to Baghdad, taking the city with something like 200,000 Iraqi dead. The Mongols likewise consumed the Grand Library of Baghdad and its magnificent accumulation of reports - one of the colossal violations of history. The caliph himself was executed by being come in a cover and trampled by ponies; this was a good passing in Mongol culture since none of the caliph's honorable blood contacted the ground. Hulagu's armed force would meet annihilation by the Egyptian Mamluk slave-armed force in the Battle of Ayn Jalut. In the Mongols' wake, in any case, the Black Death diverted about 33% of Iraq's populace. In 1401, Timur the Lame (Tamerlane) caught Baghdad and requested another slaughter of its kin. Timur's savage armed force just controlled Iraq for a couple of years and was supplanted by the Ottoman Turks. The Ottoman Empire would run Iraq from the fifteenth century through 1917 when Britain wrested the Middle East from Turkish control and the Ottoman Empire fallen.